Halloween can feel like it is all about candy, but it can also be an opportunity for a teachable moment. Let's talk about making healthy choices during Halloween. Halloween can be scary. Even with ghosts, ghouls and goblins abound, the most frightening part of Halloween might be how many calories our children bring home in their trick-or-treat bags. The candy in an average trick-or-treat bag can contain as much as 7,000 calories, according to Dr. Donna Arnett at the University of Alabama-Birmingham’s school of public health, and all that candy can lead to tooth decay and a lot of extra pounds for the entire family. What’s a health-conscious parent to do without ruining one of the most kid-friendly celebrations of the year? · As the person handing out candy, opt for healthier or non-food alternatives. Candy is fun, but healthy food can be as well. Making small oranges, popcorn balls or fruit cups with pumpkin faces drawn on them can encourage healthier eating while still getting into the Halloween spirit. Give trick-or-treaters dried fruit, fruit leathers, crackers or trail mix. Check out this FREE online book CHEAP EATS, by Leanne Brown, on page 74 for a cheap homemade treat that can be assembled for less than .25 a serving. What is it? Healthier and affordable microwave popcorn. Print out labels to this book's URL to add to the popcorn bags. Bonus - families will learn about how to eat healthy at home on a budget year round. Or, if you want to avoid giving out candy or snack foods altogether, give small toys, stickers, temporary tattoos, pencils, Halloween erasers or glow-sticks. 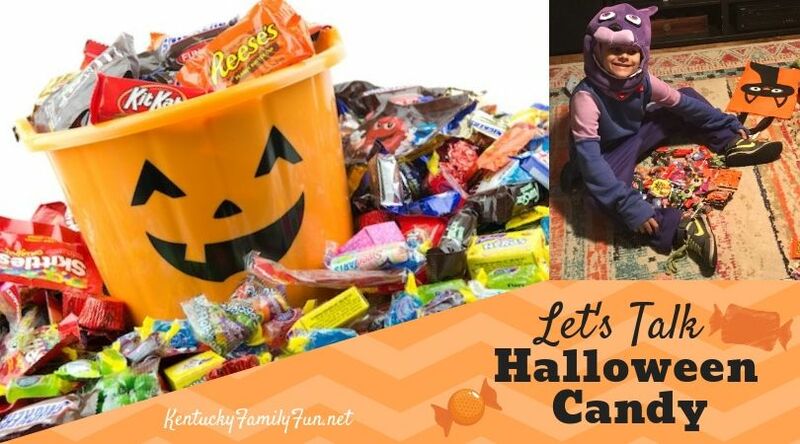 Kids receive plenty of candy on Halloween and will enjoy being surprised by the “extras” they gather while trick-or-treating. · Get out and exercise. Candy consumption certainly increases on and around Halloween, but so does walking. Fitbit recently analyzed its data and found the average user walked an additional 2,750 steps on Halloween. While those extra steps won’t cancel out all those candy bars you ate, the added walking and exercise can help you control your weight and improve your health. 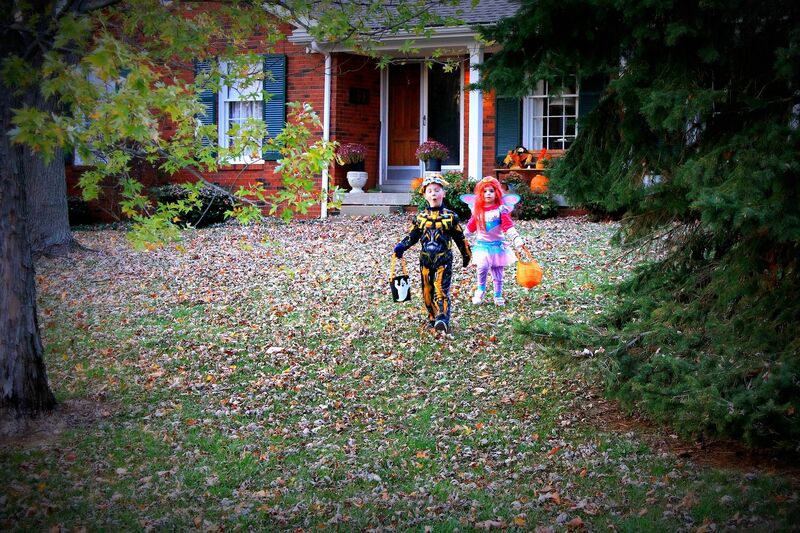 Take family walks around the neighborhood before Halloween to plan your trick-or-treating route. The additional movement can benefit the whole family. 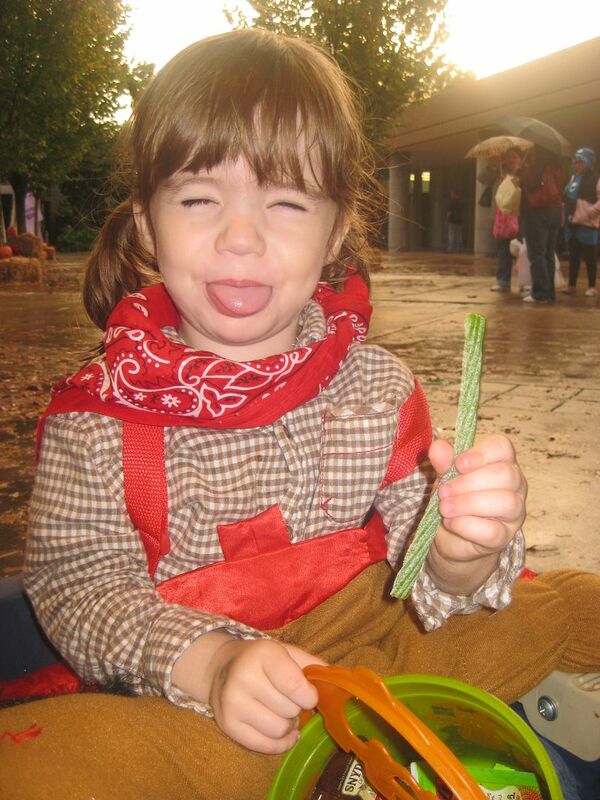 · Fill your little goblins’ tummies with healthy food before they hit their candy stash. Eating a healthy dinner before trick-or-treating will help ensure your kids are properly fueled and less tempted to snack their way around the neighborhood. Plus, for safety, you should save your candy until you get home to screen for anything potentially hazardous. · Encourage candy in moderation. Set a limit on candy consumption to one day or a week. Save extra candy for creative projects. 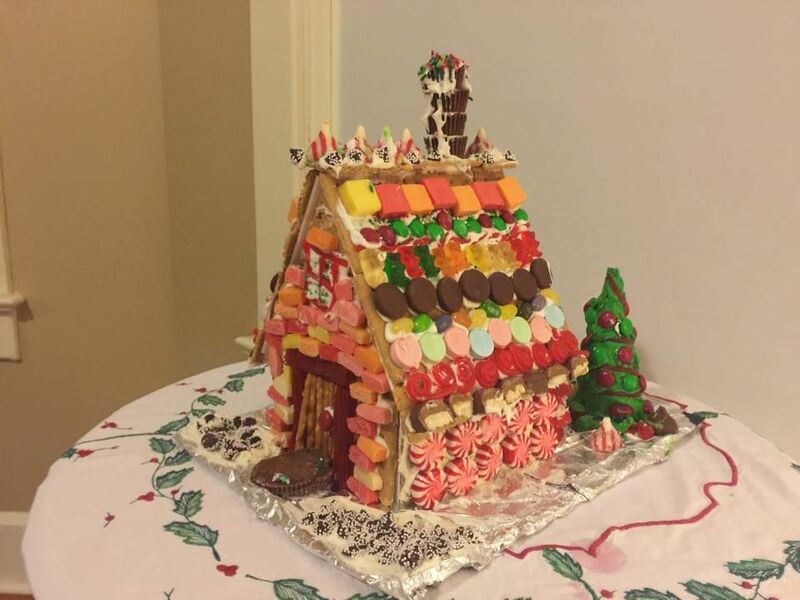 In our family, we save extra candy by freezing it and pulling it out before Christmas for our annual gingerbread house making tradition. Ditch the gingerbread house making kits at Christmas. Instead, stock up on your supplies over time. Create a bin for your gingerbread making supplies and save for later. Graham Crackers, store-bought frosting, Halloween Candy, aluminum foil, stale ice-cream cones, coconut that has been sitting in the back of the freezer. We use this method for building our houses. If you return home and your family has more candy than they should eat, search online for a local dentist or other business participating in candy-donation or buy-back programs. Your school's Youth Service Center would likely appreciate the donations as well. Call first for each location’s program details. This Halloween, have fun dressing up and eating a few treats but balance the usual indulgence with making healthier choices.